If you had to guess the percentage of American households that had a fallout shelter in the 1960s, what would you say? Fifty percent? Twenty-five percent? As low as 10 percent? In reality, just 1.4 percent of Americans had a nuclear fallout shelter in 1962. And the study that gave us that figure provides a fascinating look into the mindset of Americans during the Cold War. 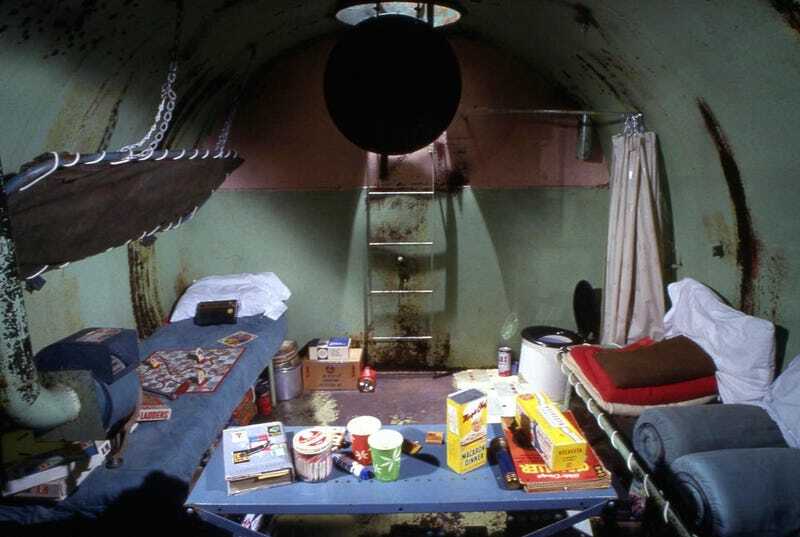 The American fallout shelter is pretty central to our ideas of what the Cold War was like, largely thanks to science fiction and TV shows of the 1960s and ‘70s. Or, in the case of the 1990s, movies set during that period like Matinee (1993) or Blast From the Past (1999). But it’s difficult to understand how seriously people took Duck and Cover strictly from popular culture. The classic CBS TV series The Twilight Zone explored the issue of civil defense and fallout shelters in the September 29, 1961 episode “The Shelter,” when a man with his own shelter is ridiculed for building one before it’s announced that nuclear war is on its way. His neighbors are literally pounding down his door to save their own families before we learn that it was all (spoiler alert) a false alarm. But it’s tough for those of us who didn’t live through the darkest days of the Cold War to really get a firm understanding of how seriously Americans took the threat of nuclear annihilation. Even those who did live through it are a bit hazy in their memories, even if they don’t admit it. Many of them, of course, were children during the most terrifying years of the Cold War, and childhood has a way of warping your perspective on how society as a whole might view something. Just look at the Apollo space program, which was opposed by the majority of American adults as a waste of money, yet was beloved by children. It’s precisely this disconnect that caused Baby Boomers to create a hazy and happy nostalgia around older ideas of space exploration. At the end of the day, their parents thought it was dumb. So what did people of the early 1960s really think about fallout shelters and the possibility of full blown war with the Soviet Union? One nuclear fallout study was conducted by Michigan State University and surveyed 3,514 American adults all across the country. There’s a lot of information to digest from the report, but I’ve pulled out some of the most interesting data from the survey, including everything from what God may have thought about fallout shelters (7 percent thought building one was against God’s will) to the questions about the 1959 nuclear-scare film On the Beach (17 percent said they saw the movie). Is it cowardly to build a nuclear fallout shelter? There’s nothing quite like the collision of midcentury toxic masculinity and the threat of total destruction from nuclear war. But the results of the survey may surprise you. Just 7 percent of Americans thought that building a shelter was cowardly. One of the concerns we see pop up again and again in pop culture is that anyone who builds a shelter must be crazy. Even the biblical Noah, in preparation for God’s flood, is ridiculed for being prepared. (Or, at least that’s my memory from Sunday School, even if it doesn’t have any biblical basis). But chuckles from your neighbors weren’t the only concern. There was also the possibility that the same neighbors who would call you crazy for building a shelter might try to bust down the door when nuclear war actually broke out. That was the premise of the 1961 Twilight Zone episode and some of the questions in the survey revolved around exactly that. 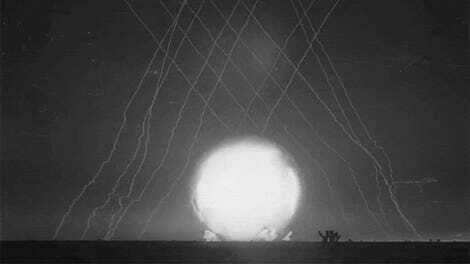 Would you want to live through the aftermath of a nuclear war? If you’ve spent any time thinking about civil defense preparedness, you’ve probably wondered what life would look like after the bombs are done dropping. Are we talking a situation like The Road (2009) where you wander the desolate post-apocalyptic world with little hope and no real reason to live? Most Americans believed that even if a nuclear war happened, it would be possible to rebuild. But when they were asked specifically about whether they’d want to go on living if their friends and neighbors were dead, fewer people answered positively. What about the cost of building a shelter? Cost was a considerable factor when it came to whether Americans wanted to build a fallout shelter or not. Or at least that’s what Americans told the people conducting the survey. But what does God have to say about all this? Do you read newspapers and watch movies with fallout shelters? Popular media has informed the 21st century’s understanding of the Cold War. But popular media also influenced the people who were living through the Cold War, telling them how they should think about the threat of destruction from the Soviet Union. Have you read government information about fallout shelters? Then there was the 1959 US government-produced booklet, “Your Family Fallout Shelter.” Again, we may overestimate the number of people who got a copy of the booklet, thinking it was sitting in the basement of every red-blooded American’s home. In reality, just 18 percent of Americans reported having one. Who’s trying to sell you a fallout shelter? And, of course, there were people that were neither part of Hollywood nor part of the government who might influence your opinion on fallout shelters. Who’s left? Your church, or even a salesman. You can read the full report over at Archive.org. And if you’re so inclined, that Twilight Zone episode called “The Shelter” is streaming on Netflix and Amazon Prime. Sadly, with the US and North Korea each guided by absolute lunatics in 2018, both the threat of nuclear destruction and anxiety around building fallout shelters are more relevant than ever. We saw that recently when a false alarm gave everybody in Hawaii an alert that ballistic missiles were on the way. Five years ago, we probably would’ve laughed something like that off as a silly mistake. Today, Popular Mechanics is writing follow-up articles about what to do in case of a nuclear attack. What will most people be doing in the event of a nuclear attack? Probably googling how to survive. What a time to be alive. Or what counts for alive in 2018, I guess.